Driscoll, aided by Breshears, takes his years of pastoral ministry and applies the various doctrines of the cross to his experiences. Each chapter is a letter written to someone he has interacted with in the past. The letter addresses their pastoral needs by explaining and applying one of those doctrines. Some of the chapters are: “My dad used to beat me” – Jesus is Bill’s propitiation; “I hate my brother” – Jesus is Kurt’s reconciliation; or “I want to know God” – Jesus is Susan’s revelation. The key to this book is that it takes something that is often dry and impersonal – doctrine – and makes it relevant and personal. I can see how these doctrines can be used to help someone who is hurting. How they can be used to reassure someone who is doubting. And how they can be used to rebuke someone who is sinning. This is a book written with great love and tenderness. Yet it is firm and masculine at the same time. 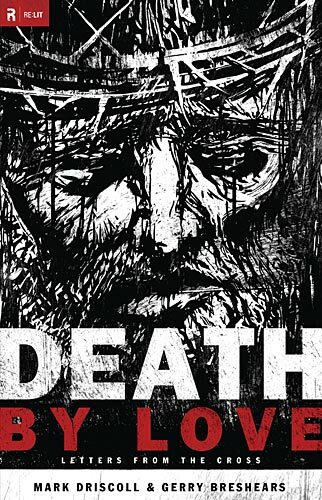 I would recommend this book to anyone who wants to gain a greater understanding of what Jesus did on the cross. I would recommend this book to anyone who is in a position of Christian teaching and pastoring. I would recommend this book to anyone who knows the love of Jesus or wants to know the love of Jesus. This is a great book and deserves to be widely read. You can get this book at Bible Society NSW Bookshop.